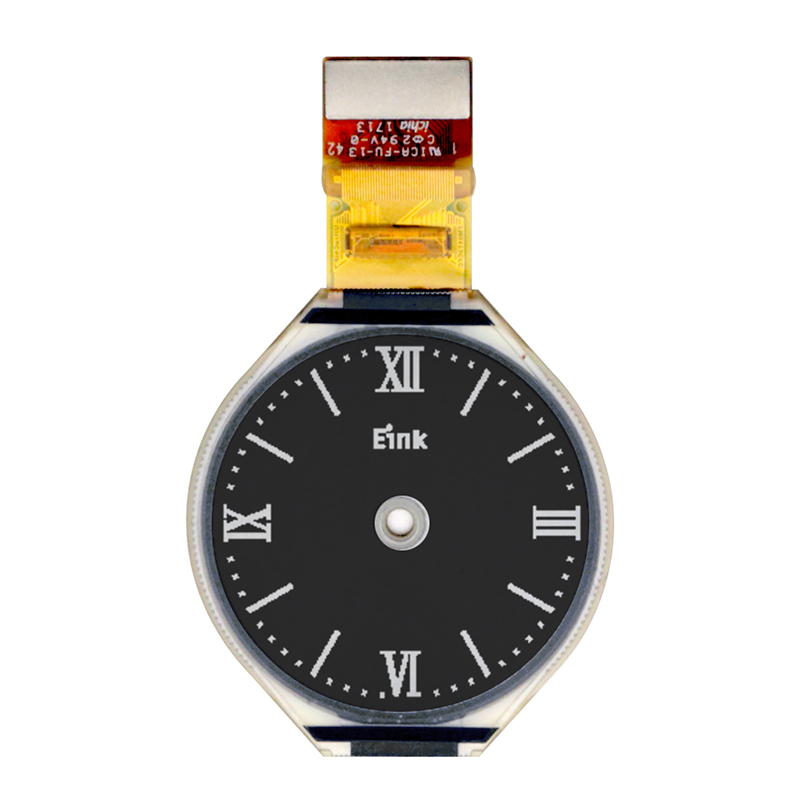 Elnk Shop E INK DISPLAY MODULES 0" ~ 4.99"
ET011TJ2 is a reflective electrophoretic E Ink technology display module based on active matrix TFT and plastic substrate. It has 1.1” active area with 240 x 240 pixels, and the display is capable to display images at 4 gray levels (2 bit) depending on the display controller and the associated waveform file it used. A central hole is in the center of display. 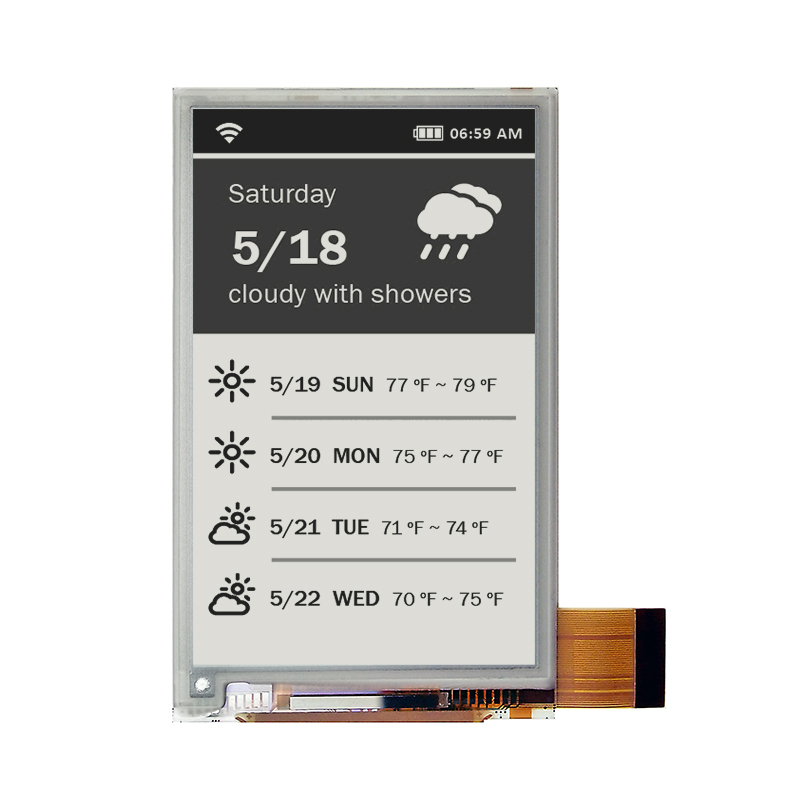 ET011TT2 is a reflective electrophoretic E Ink technology display module based on active matrix TFT and plastic substrate. It has 1.1” active area with 240 x 240 pixels, and the display is capable to display images at 4 gray levels (2 bit) depending on the display controller and the associated waveform file it used. 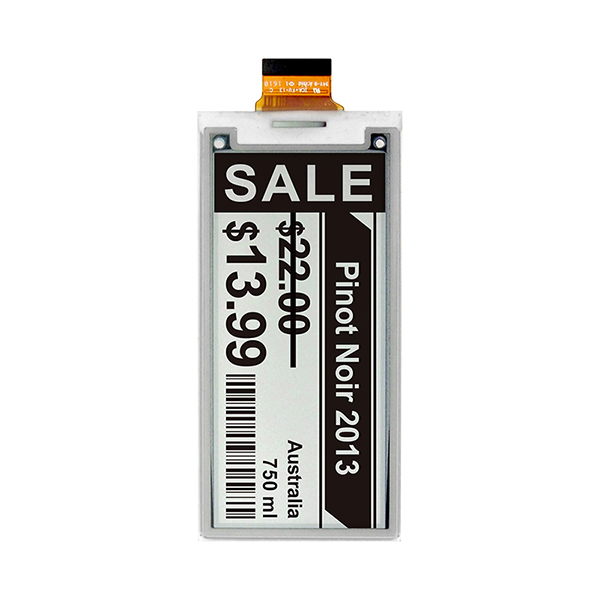 ED013TC1 is a reflective electrophoretic E Ink technology display module based on glass active matrix TFT substrate. 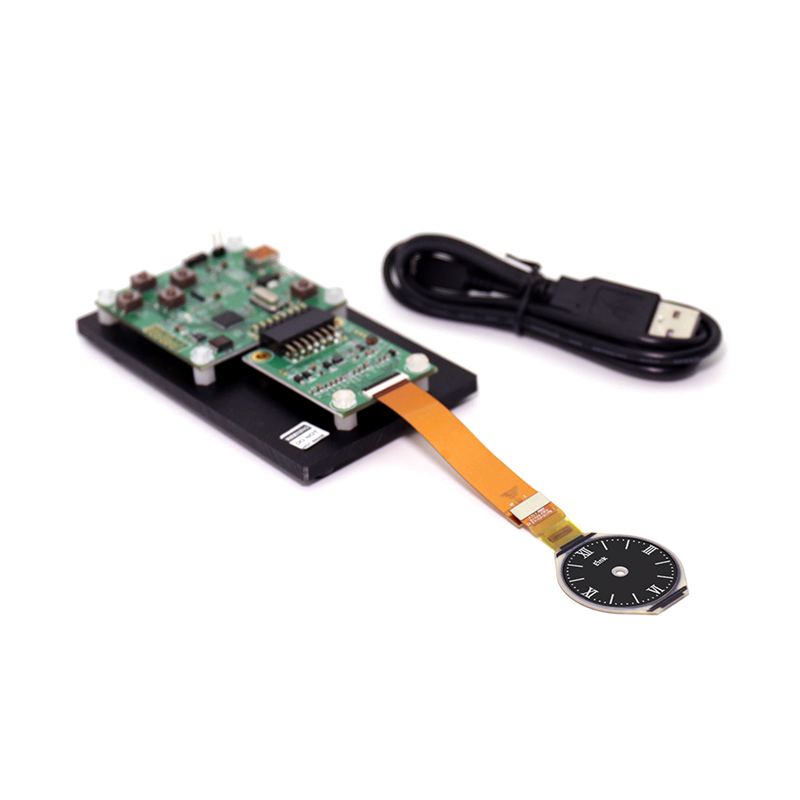 It has 1.27” active area with 128×256 pixels, the display is capable to display images at 2 gray levels (1 bit) depending on the display controller and the associated waveform file it used. 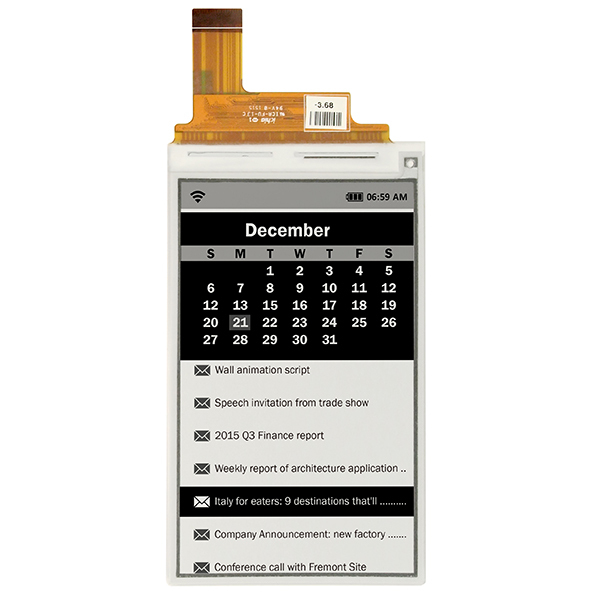 ET014TT1 is a reflective electrophoretic E Ink technology display module based on active matrix TFT and plastic substrate. It has 1.43” active area with 128 x 296 pixels, the display is capable to display images at 2 gray levels (1 bits) depending on the display controller and the associated waveform file it used. 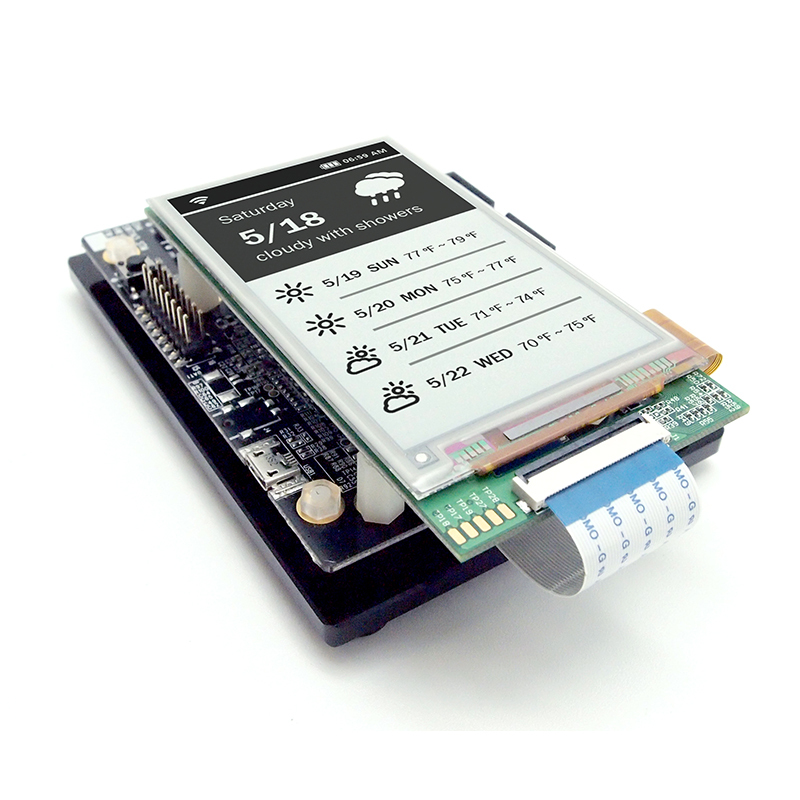 ED029TC1 is a reflective electrophoretic E Ink technology display module based on glass active matrix TFT substrate. It has 2.9” active area with 296 x 128 pixels, and the display is capable to display images with black and white content. An integrated circuit contains gate buffer, source buffer, interface, timing control logic, oscillator, DC-DC, RAM, LUT, VCOM, and border are supplied with each panel. 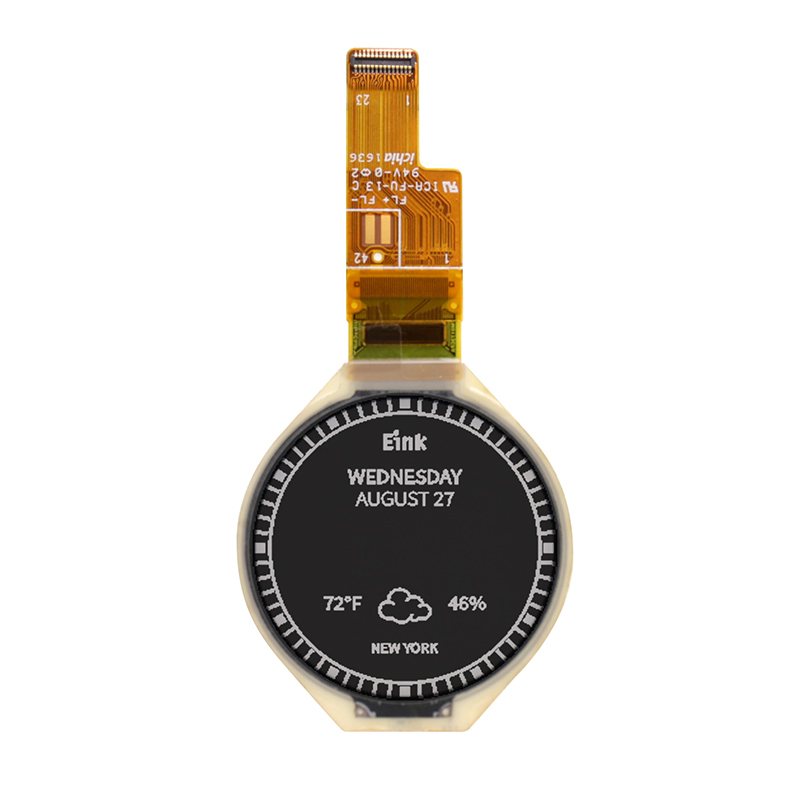 EL029TR1 is a reflective electrophoretic E Ink technology display module on an active matrix TFT substrate. 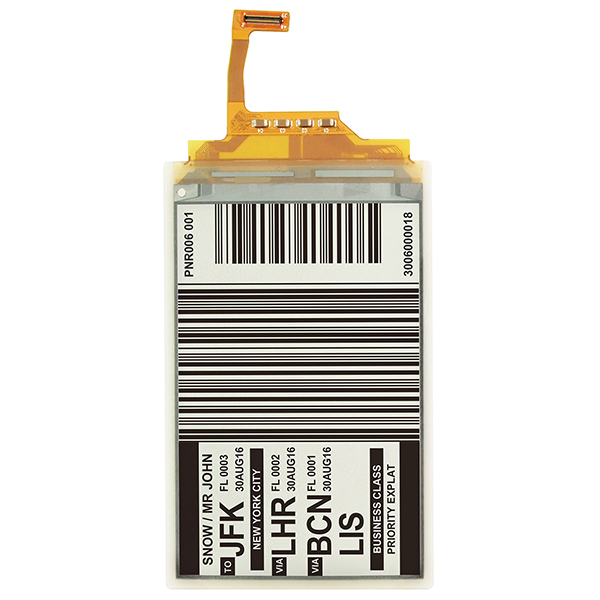 The diagonal length of the active area is 2.9” and contains 296 x 128 pixels. The panel is capable of displaying 1-bit black, white and red images depending on the associated lookup table used. The circuitry on the panel includes an integrated gate and source driver, timing controller, oscillator,DC-DC boost circuit, and memory to store the frame buffer and lookup tables, and additional circuitry to control VCOM and BORDER settings. 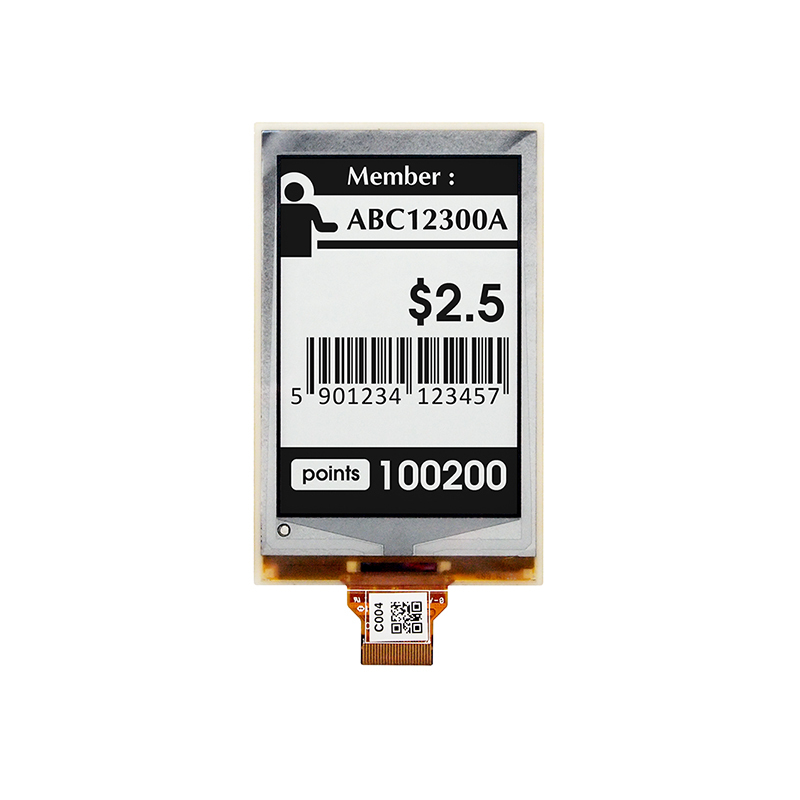 ET029TC1 is a reflective electrophoretic E Ink technology display module based on active matrix TFT and plastic substrate. 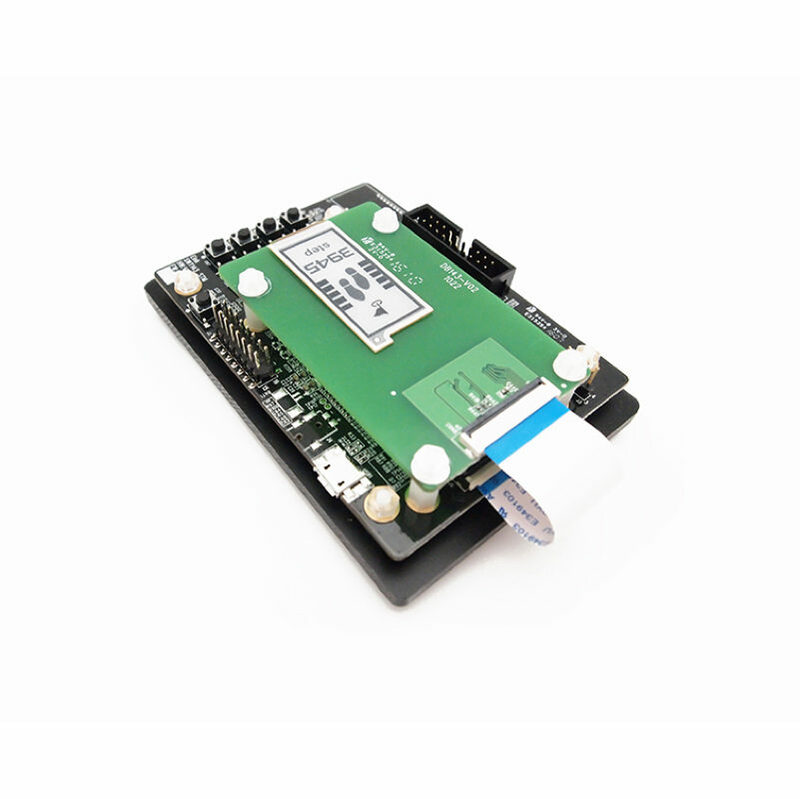 It has 2.9” active area with 200 x 300 pixels, the display is capable to display images at 1-bit depending on the display controller and the associated waveform file it used. 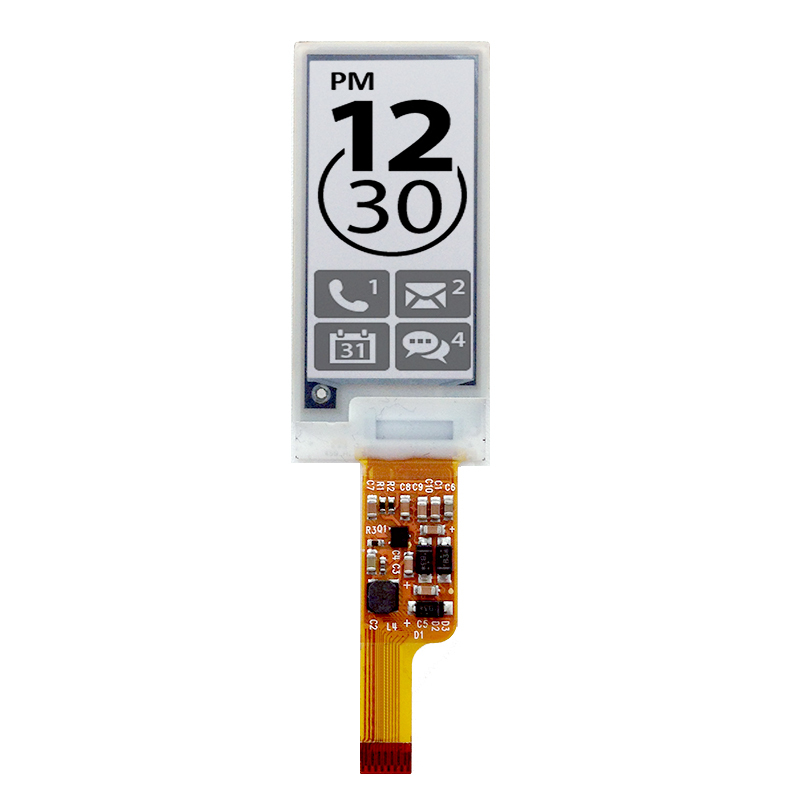 ED035OC1 is a reflective electrophoretic E Ink technology display module based on glass active matrix TFT substrate. It has 3.5” active area with 360 x 600 pixels, the display is capable to display images at 2-16 gray levels (1-4 bits) depending on the display controller and the associated waveform file it used. 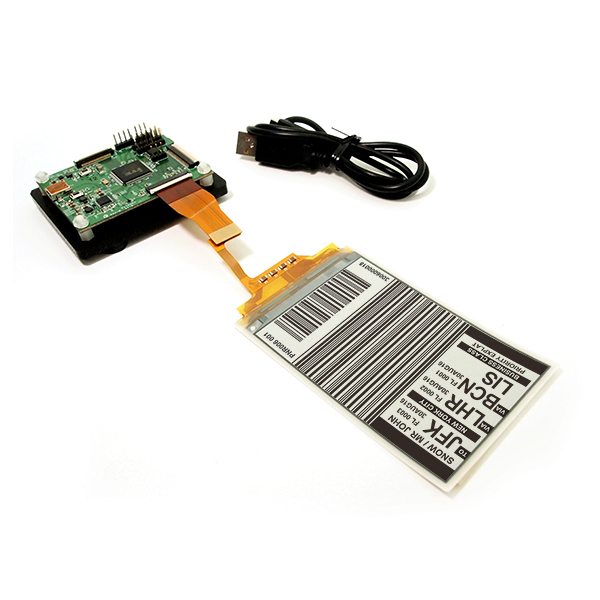 ET040TC2 is a reflective electrophoretic E Ink technology display module based on plastic active matrix TFT substrate. It has 4.05” active area with 480 x 720 pixels, and the display is capable to display images with 1-bit black and white content. 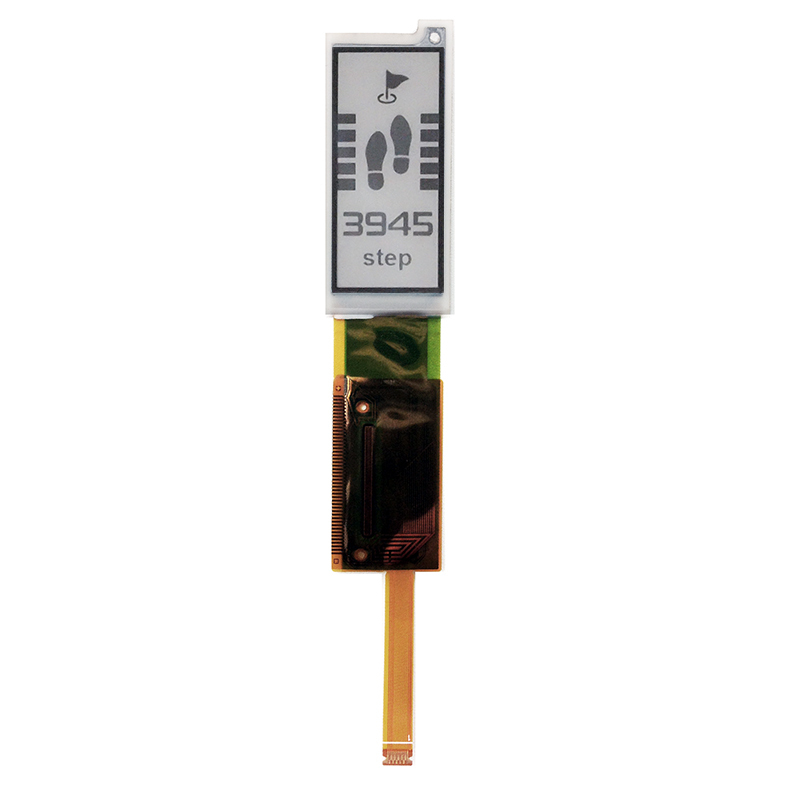 ED043WC3 is a reflective electrophoretic E Ink technology display module based on glass active matrix TFT substrate. It has 4.3” active area with 480 x 800 pixels, and the display is capable to display images at 2-16 gray levels (1-4 bits) depending on the display controller and the associated waveform file it used.